Creative Videos, Documentaries and Visualizations to Teach, Explore and inspire the wonder of it all. 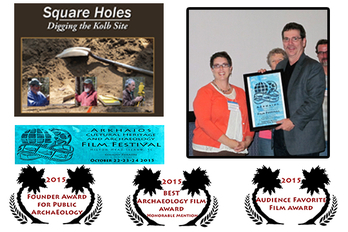 "Square Holes, Digging the Kolb Site"
For 20 years a group of dedicated career and volunteer archaeologist descend upon an ancient sand dune on an oxbow of the Great Pee Dee River in South Carolina. Rich in artifacts they found evidence of human activity from last week to 13,000 years ago. Explore life in one of Tibet's most ancient monasteries now rebuilt in exile in south India. Path to Geshe is an inside look at life in Sera Monastic University.